Are You Doing Business Truthfully? You value honesty and truthfulness in your personal life, but do you do the same in your professional one? Truth in business is double-sided: There are the truths we tell and the truths we get told from others. When we don't speak the truth, however, we are often wasting time and energy in hiding it, making excuses and avoiding deeper connections. Within the business world, the truth means putting customers first, making difficult decisions rationally and admitting your wrongs. It sets you apart from the competition, and you'll build better relationships with your clients along the way. Offering genuine conversations and experience adds a level of transparency to your brand other agencies may not offer. A customer is looking at a product. A customer purchases and uses the product. When a customer is dealt a bad card like facing a big lawsuit or damaged property. The way your agency responds to these moments says something. Putting their emotional needs ahead of your own will transform how your company responds — and ultimately how your company is seen. Long story short: Being authentic in your sales practices and marketing efforts will grow your business. Make sure you're being consistent in your fundamental message and identity. Follow through with your words and deliver on your promises in a timely manner. One of the easiest ways to be truthful is through accountable communication: Be available in real time to answer questions, and don't be afraid to say, "I don't know. Let me find out, and I'll call you back." So, our charge to you? Embrace the truth. Stay true to who you are and what you do. You'll enable your current potential clients to relate to you, help them understand what you offer and show how much you value genuine practices. 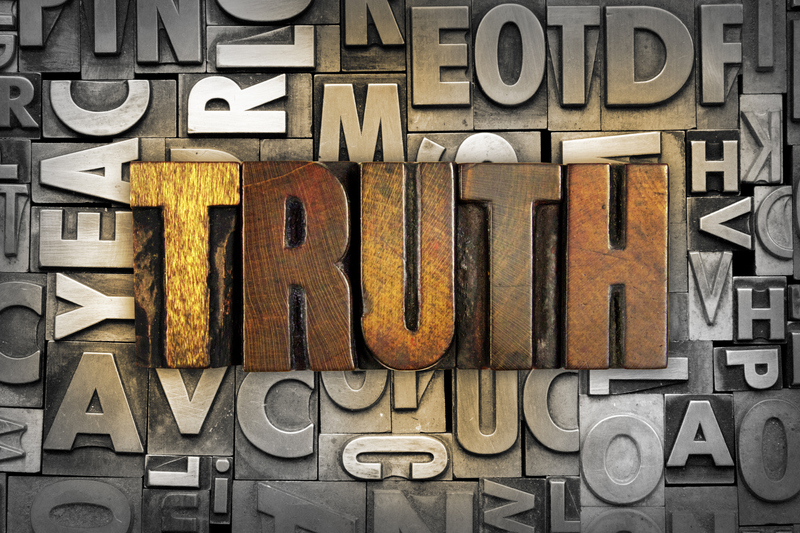 Consider Todd McKinnon's article, "3 Questions to Ask Yourself about Truth in Business." Are you doing business truthfully? You have about three seconds to make your point; that’s how long HubSpot reports readers will invest in your material before deciding to move along or engage. One of the hardest working visuals you can create is an infographic. What are some basic rules you should follow to generate the most effective infographic possible? Start with the headline. Shoot for 70 characters or less and get creative. Don't write in business speak. Include an intro. In 200 words or less, explain why what you’re about to share matters. If you can’t, it’s not worth an infographic. Map the sequence of information. Remember that you’re telling a story; make sure you do so in an order that makes sense. Pick easy-to-understand visuals. Crisp colors and clean graphics will grab the reader’s attention. Don’t make the icons too detailed, or the infographic will feel unnecessarily cluttered. At the same time, don’t try to be so clever that people have to work too hard to understand your intent. Place sources and footnotes at the bottom. If someone wants the information, it’s there, but it won’t detract from your message. Go back and simplify. Get your ideas down, and then after your initial design pass, go back and reduce the word count further. There’s nearly always a simpler way to say something. Consider more than one infographic. Would your pitch be better served by breaking the initial infographic down into multiple infographics? Or is there a way to better organize your infographic so it’s less overwhelming? Proofread. Better yet, have someone else proofread. It’s difficult to catch your own mistakes. Design to your audience. Depending on your target, the font, colors and overall feel should vary. Don’t forget your logo. Believe it or not, people often forget to include their logo. Not only does this help you check to make sure that your infographic complements your brand identity, but it also ensures proper brand credit if your infographic gets shared or used somewhere else. Expand your audience. Make your infographic sharable with social plug-ins. And don’t be shy — ask readers to share your creation. If you’re looking for a free source to generate infographics, you can get started at canva.com. Or perhaps you have other resources you’d recommend? If so, please share in the comments section.